﻿ HuntingNut » Forums » General » General » Blame Stovepipe He Started It! Blame Stovepipe He Started It! Posted: Fri Apr 29, 2011 4:55 pm Post subject: Blame Stovepipe He Started It! Posted: Fri Apr 29, 2011 8:03 pm Post subject: Re: Blame Stovepipe He Started It! Hey FN!! I feel snubbed, you said you were building a cafe racer. I wanna see it! Built yet? Posted: Fri Apr 29, 2011 10:41 pm Post subject: Re: Blame Stovepipe He Started It! That looks like a pretty old "Sit Down and Run" FN...even appears to have a leather seat. Posted: Sat Apr 30, 2011 1:35 am Post subject: Re: Blame Stovepipe He Started It! 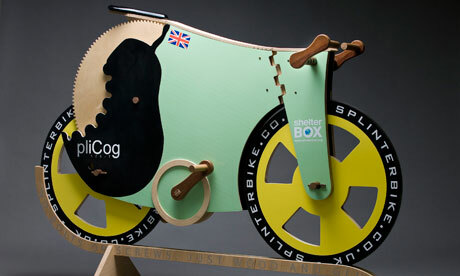 Here is a supercool all timber version, the "SplinterBike"
Methink it should at least have some rubber on it to absorb some shocks.. ouch!! Posted: Sat Apr 30, 2011 4:45 am Post subject: Re: Blame Stovepipe He Started It! No Suzanne, I wanted to use it for the Jasper ride this morning but it wasn't done yet. 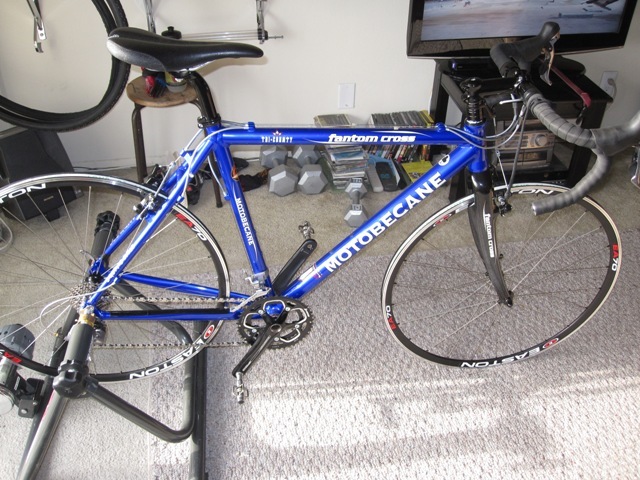 it would have been 15 pounds lighter then this bike hopefully it will be done for the next hill climber. The seat is leather everything else is pretty recent but I haven't found a synthetic that feels as good. After 60+ miles its all about the feel. That wooden thing looks like a dairy cow, I think that the first thing to have trouble would be that big gear also the hardest to manufacture/replace. I am putting a leather seat on my cafe racer/road bike too even though they weigh twice as much I feel it is worth it. Those are the Brooks B-17 I referenced in the scout-carbine thread. The setup is shimano 105 stuff the next one (I decided to call it "black and blue") is ultegra. Posted: Mon May 02, 2011 8:31 am Post subject: Re: Blame Stovepipe He Started It! That MASI is a classic! Ever see "Breaking Away", classic flick- kid riding in it is on a MASI. The Brooks is a great touch, excellent choice. They got it right the first time. Here's some mock up shots of my latest. Got it from bikesdirect.com and added some EA70 wheels. Doc cleared me for pedaling flat's Friday. This thing rips. $800 plus wheels. 105 group. What a score. Posted: Mon May 02, 2011 8:38 am Post subject: Re: Blame Stovepipe He Started It! Here's a pic of my custom Curtol...STEEL rules. Raced the piss outta this thing. Catalina island in the b/g. Posted: Mon May 02, 2011 8:44 am Post subject: Re: Blame Stovepipe He Started It! 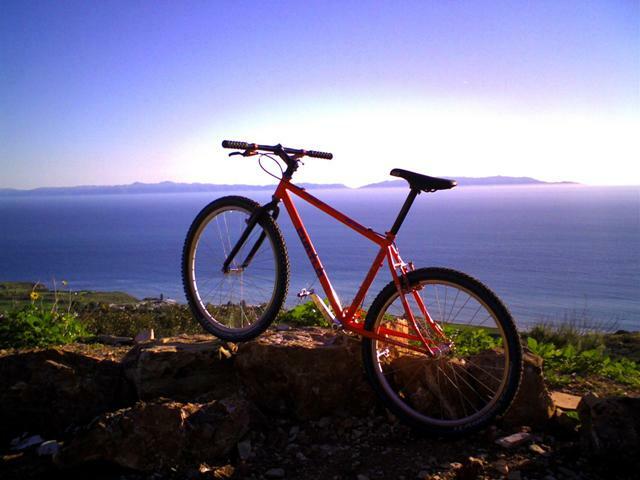 Me 'n my Curtlo in action when it was a geard bike and had a suspension fork. This was 4/2000. My teammate heckling me on the way to the finish with my tongue hanging out. Yes, Bushy, I know, cover my legs. Posted: Mon May 02, 2011 1:31 pm Post subject: Re: Blame Stovepipe He Started It! are those egg beaters crank bro's.? love the blue, I got electric blue anodized Velocity Helias' for my wheelset, and white industries 32-50 crank, and bottom bracket . Ritchie carbon fork with carbon tube and chris king headset, seat post and stem are matching thompsons'. carbon cobra handlebars and of course a blue brooks b-17 to top it off. shifters are ultegra bar ends coming out the top. i haven't decided on the brakes yet but they'll be m/b types coming down from the bullhorn tips. Posted: Mon May 02, 2011 1:54 pm Post subject: Re: Blame Stovepipe He Started It! Yepper. Crank Bros is one of our sponsors. I run those pedals on everything as they are mud and bomb proof. That blue is the exact same indigo as my 97 Trex ZX7000. Deep deep blue w/ white/metalic base. Really popps in the sun. The fork you selected is a GREAT choice. Cant go wrong with King h/st's. Thompson/King is on my Curtlo and that's all I'll race with. Bombproof and light. Love bar end shifters when they're indexed. Built another CX bike with same and it really made it. Not sure of the compatability of linier-pull "V" brakes with standard levers w/o a "travel agent" pulley. Canti's will work w/ anything. Shimano makes road-type hooded brake levers for "V" brakes that work a treat if you want to go with drop bar. 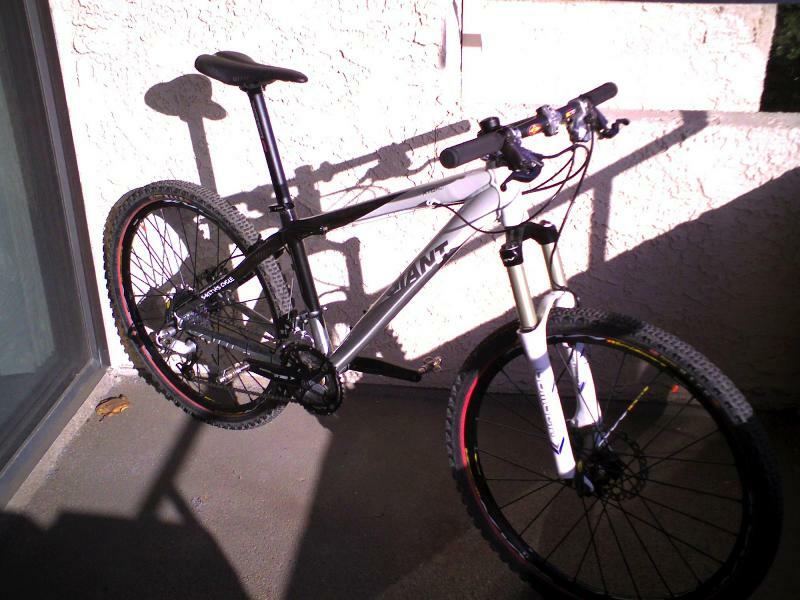 Here's a pic of my carbon/alloy Giant I build in 2008- upper of frame is carbon, lower is alloy. It flys and floats and boy does it climb. 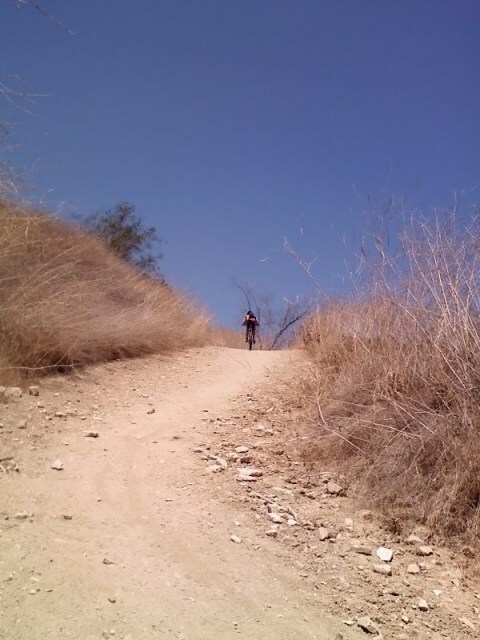 I've done some extreme death-march rides on this in 100* heat with 5000' of climbing in 6 hours....made it doable. Posted: Mon May 02, 2011 2:25 pm Post subject: Re: Blame Stovepipe He Started It! 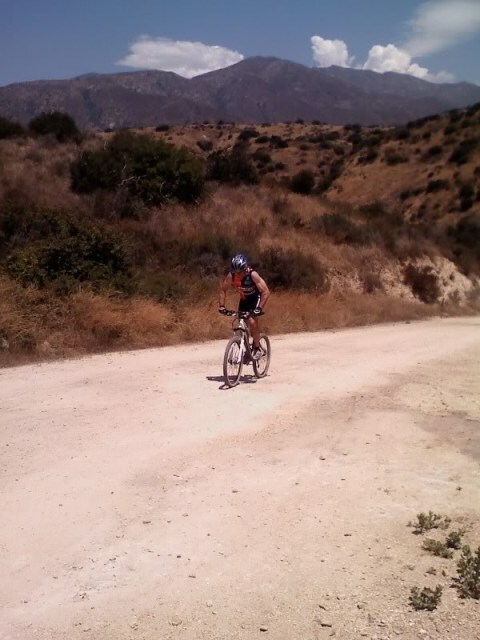 Here's some with the Giant in action, going up Cardiac Hill in 100* heat....brutal steep 3 sections...total hurl-job. I used ta be a tuff-guy not too long ago..
Posted: Mon May 02, 2011 3:17 pm Post subject: Re: Blame Stovepipe He Started It! I don't know if you looked at the profile for the jasper disaster yet but it was a 58 miler with a little over 5800' of climb, took all i had to peddle over 30# of bicycle sure wish my road bike would have been done. These go both ways as far as the shifters are concerned. when I was talking brakes I meant brake levers, I do understand what you mean about the calipers. I hadn't heard of breaking away I'll have to look it up. Posted: Tue May 03, 2011 6:18 am Post subject: Re: Blame Stovepipe He Started It! I've heard of it! It's a will buster. Esp on a 30# touring bike-wow! If you were on the Masi at least you were comfy. Looks like a comfy bike that rolls well. I like comfy bikes. If they dont fit it don't matter how light they are. My new CX is a giggle. 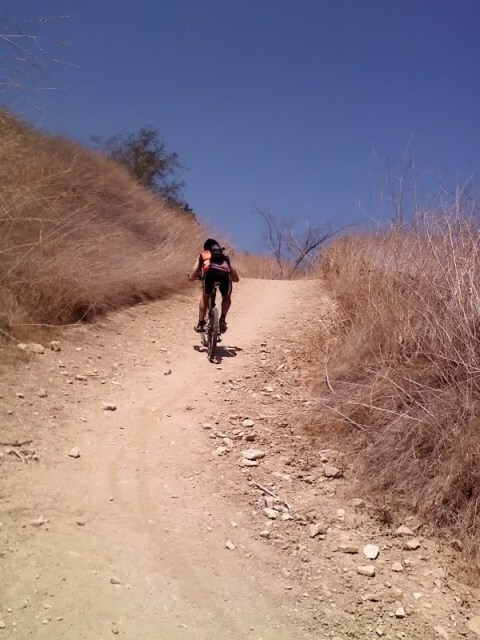 It got brave and hit some dirt flats and a few soft single-track's yesterday I know around here fer a taste of how it's gonna be, shoulders still too new for really hammering and rough stuff so.... Really cool being able to hammer on the road and not slow down once the dirt comes up. I've built several CX bikes. My first was an old Gitane or Motobecane track bike- I forgot. 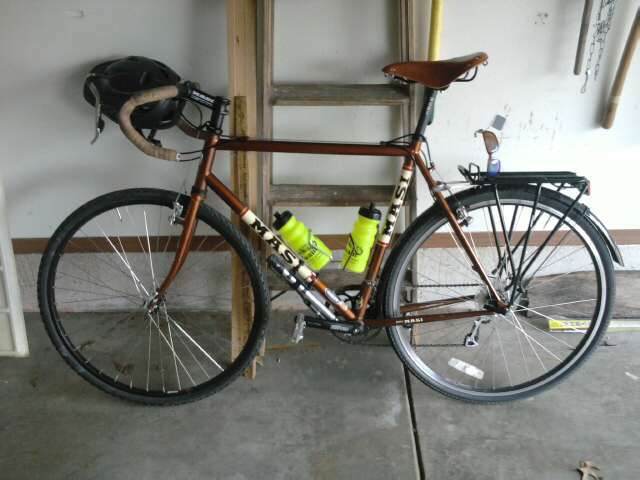 Fixed gear, knobbed tubular tires, one brake on the front. Those were the days of busted shins and kick-skid's. Here's a link for B/A. Good natured movie from the midwest in the 70's. Wait till ya see the race at the end. The Lil Indy...it was a blast! Also check out Flying Scottsman, Amercan Flyers. Posted: Tue May 03, 2011 7:18 am Post subject: Re: Blame Stovepipe He Started It! Posted: Tue May 03, 2011 7:26 am Post subject: Re: Blame Stovepipe He Started It! The hairy-legged kind! See, not all hammer-heads shave their legs.